Slideshow: Monthly composite maps of sea surface density (hover over images to pause the slideshow). 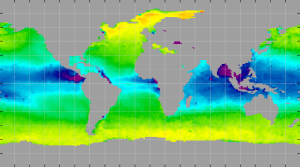 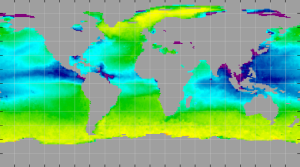 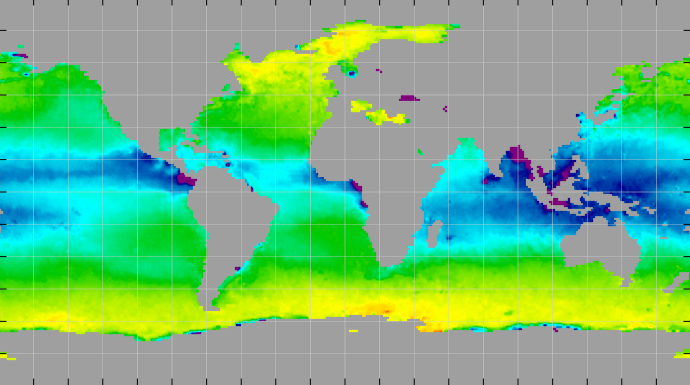 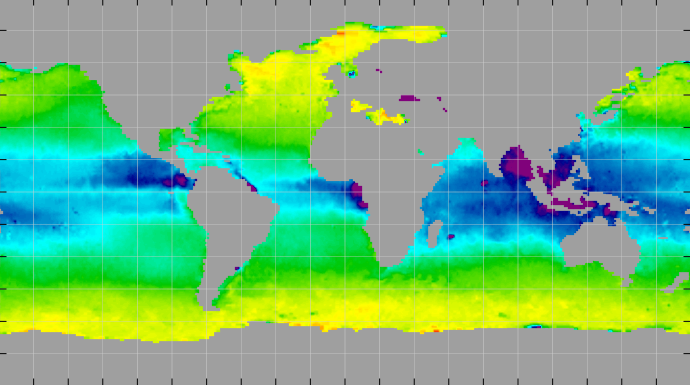 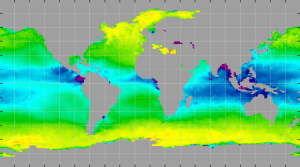 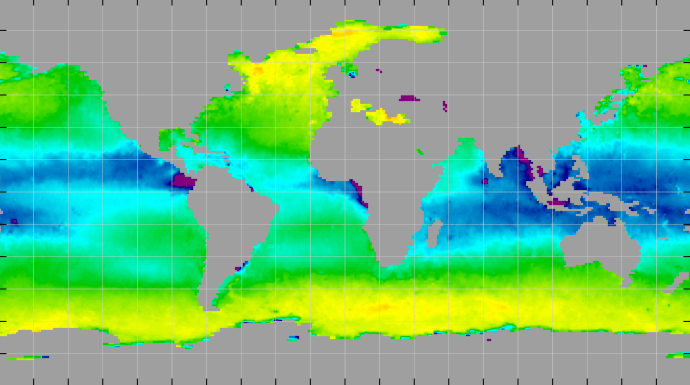 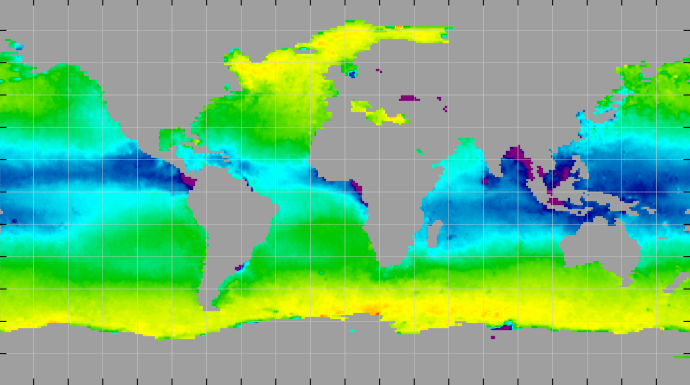 Monthly sea surface density map images, derived from Aquarius science products V5, are available here. These are produced from Aquarius sea surface salinity and ancillary sea surface temperature using TEOS-10 equation of state (McDougall and Barker, 2011). 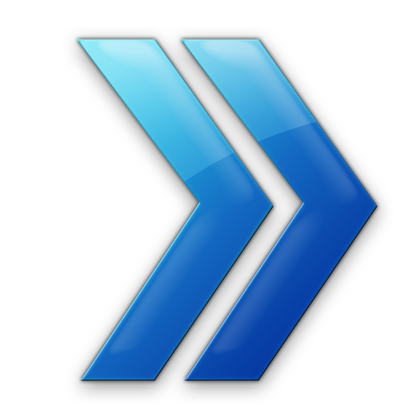 Click on the images (below) for a closer view. In these maps, orange regions have higher density and purple regions have lower density. Seawater density is determined by its temperature and salinity. 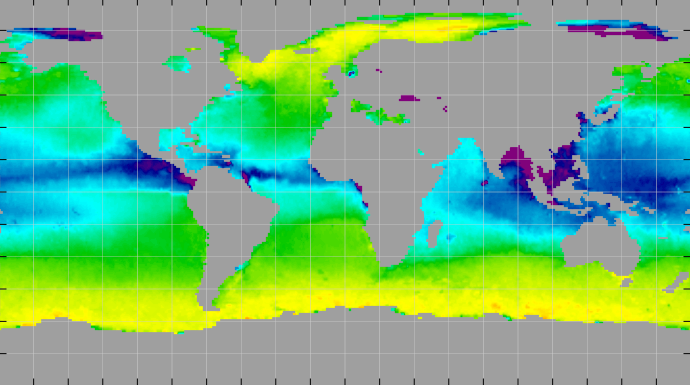 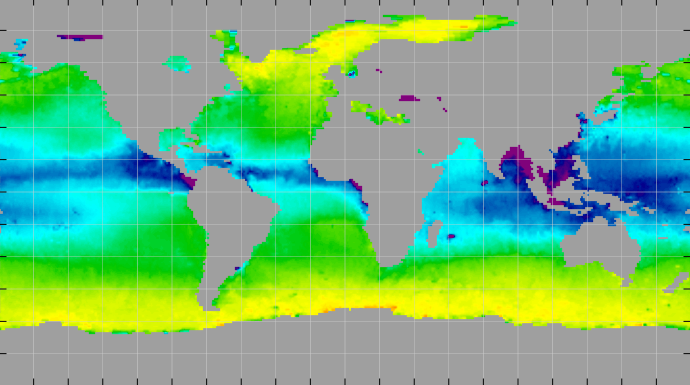 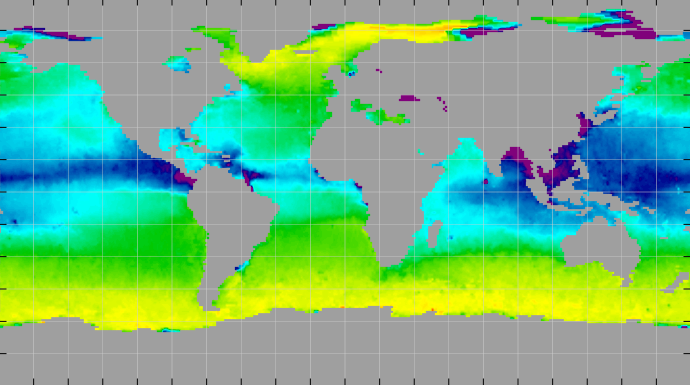 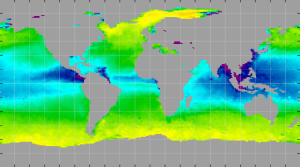 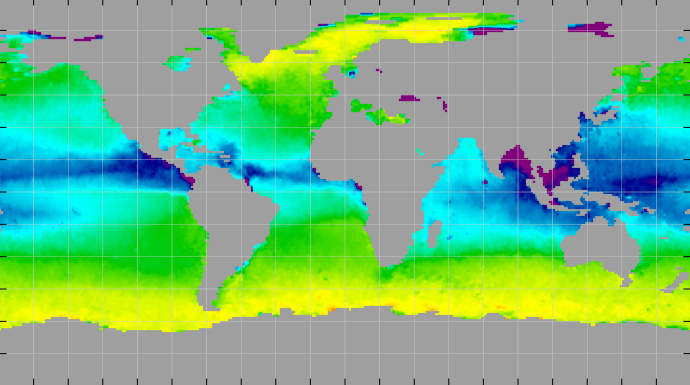 Surface seawater temperature varies widely over the globe (-1°C to 30°C), while seawater's overall salinity range is relatively small (see monthly salinity maps).